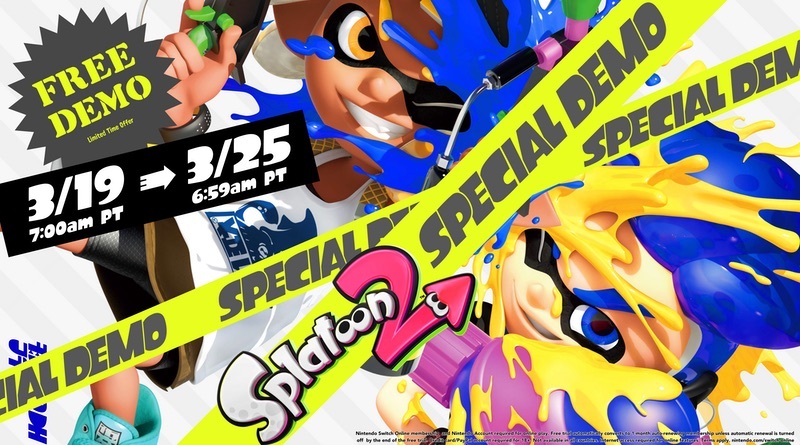 Nintendo is running a special promotion to get new players into Splatoon 2. From March 19 – March 25 gamers can download the free Splatoon 2 demo. If they like it they can then get 20% off the full price of the game via the eShop. Check out the official press release below! If the free demo makes you happy as a clam and you want to buy the full Splatoon 2game, you’ll get a 20 percent discount if you buy it via Nintendo eShop during the demo period. As an extra bonus, you’ll even be able to transfer your demo progress over.